What’s that? Your kiddos can’t get enough halloween crafts? And you’re running out of ideas? Amy to save the day! I already did one post about Halloween crafts, but there’s always room for another! How about a magazine cut-out Jack-O-Lantern? Make them on paper pumpkins like the picture, or on real ones for even more fun! What’s that? Your kiddo is really young and can’t do much? There’s always fun handprint and footprint crafts to do, which is a great sensory activity for super young ones, and it’s fun for the grown-ups to display! Halloween is a great time of year to gather your mad scientists and do some experiments! This slime recipe is one of my favorites! 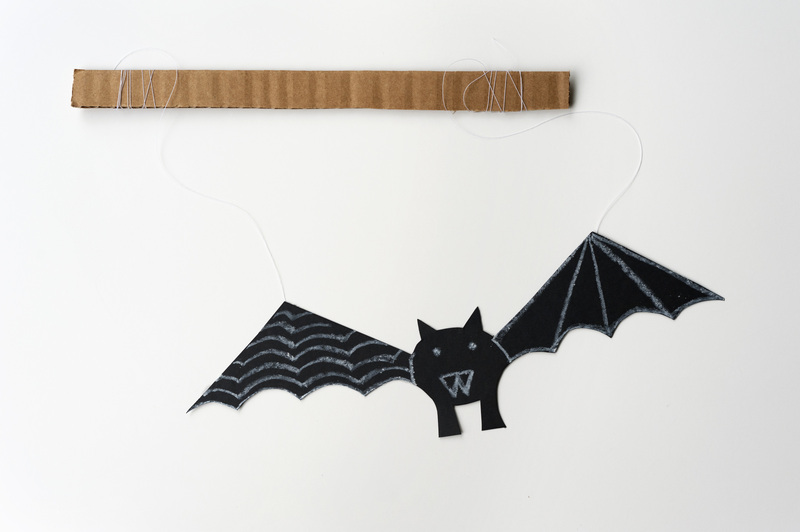 And here’s an easy bat puppet that will keep the kids busy for way longer than just the crafting time! I bet this puppet would be even more stable (and better for hands) if you used an empty paper towel roll instead of a strip of cardboard at the top.